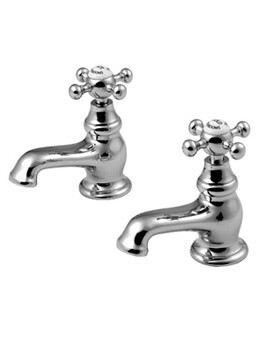 It is time to raise a toast for the chrome-plated brass bath taps with six spindles from Burlington Birkenhead. 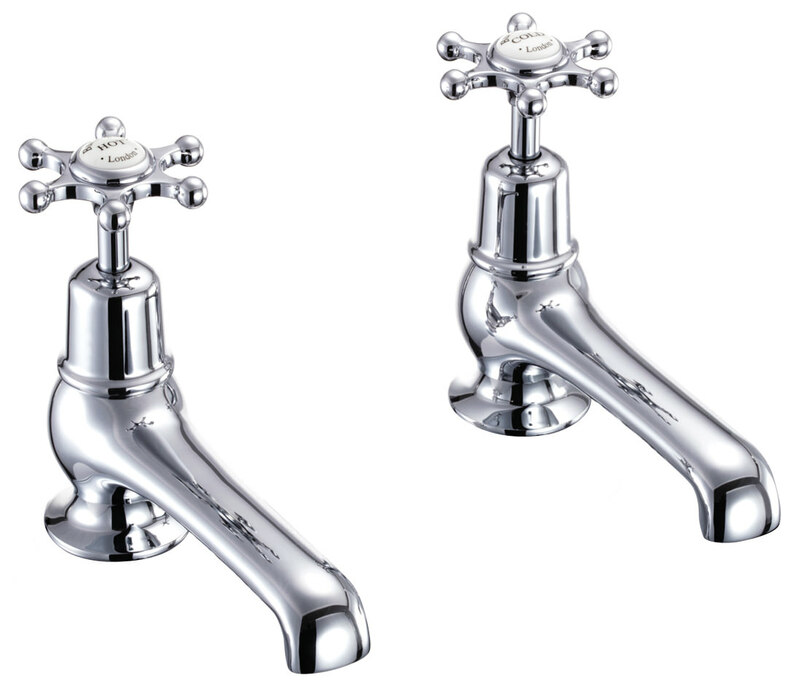 The prime feature of these bath taps is the factory-fitted Flow Straighter to provide a splash-less flow in low water pressure systems. 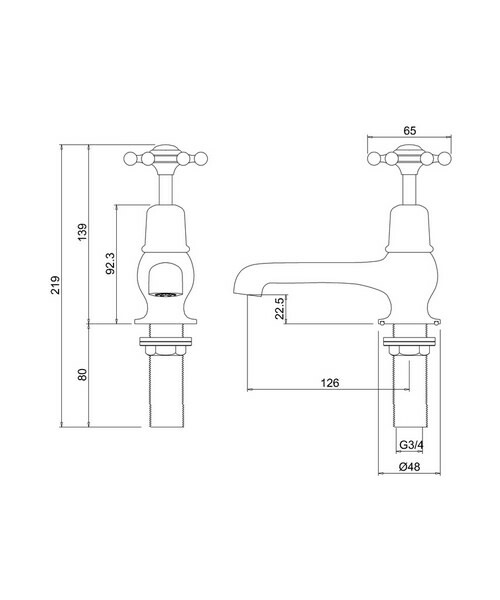 They are designed to operate between minimum 0.1 bar and maximum 10 bar pressure, require a G ¾ inch inlet connection and function equally well in high and low water pressure systems. 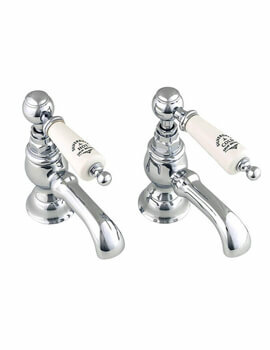 They include a pair of Birkenhead tap handles and are available in pairs only. 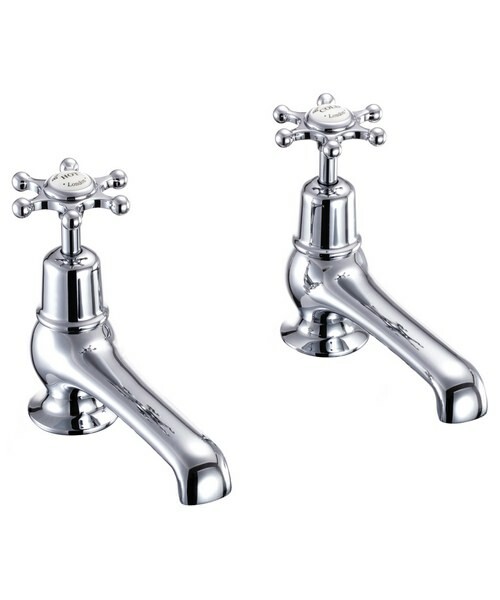 Covered with Burlington’s guarantee for 10 years against any manufacturing defects, these bath taps are easy to install, and a pleasure to use. 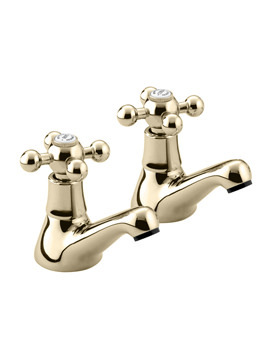 The taps comes with the traditional screw down valves as standard. 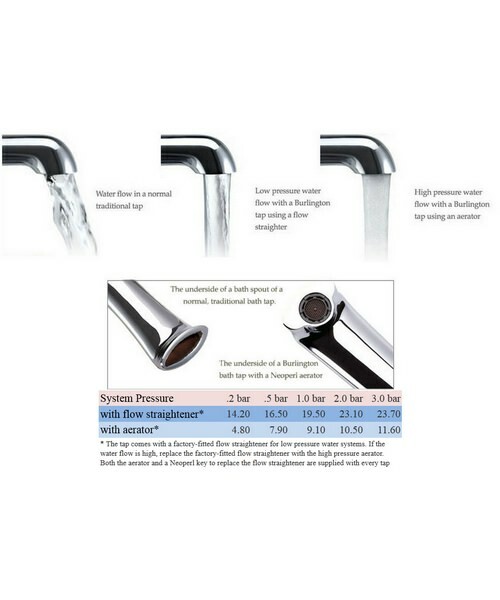 A quarter turn option is available. 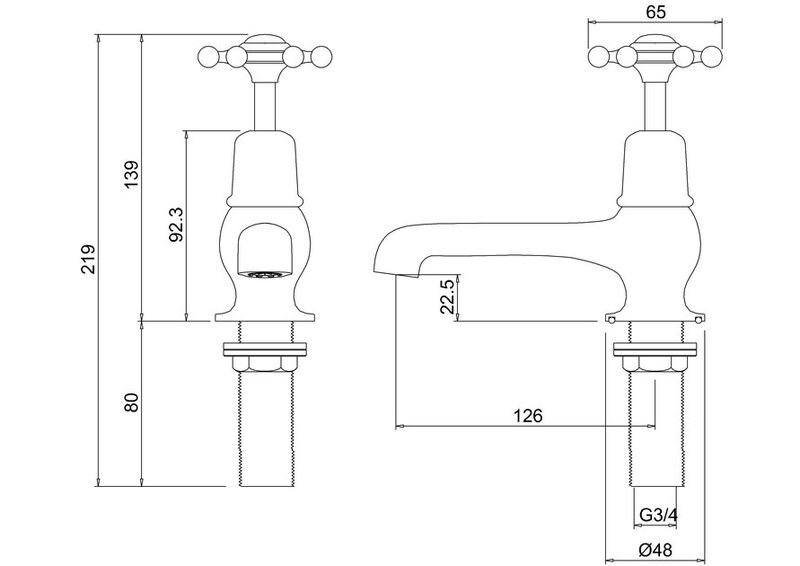 Simply select the option to specify the quarter turn tap. 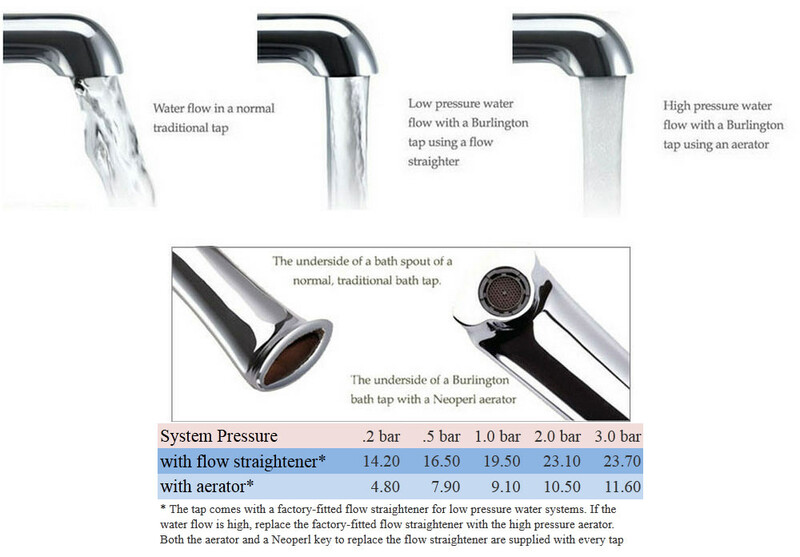 water flow is high, replace the factory-fitted flow straightener with the high pressure aerator. 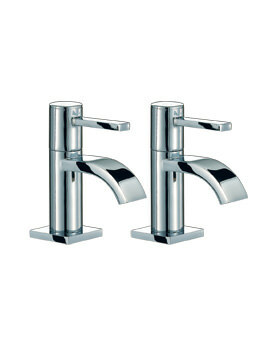 Both the aerator and a Neoperl key to replace the flow straightener are supplied with every tap.